Victims of asbestos-related illnesses in Libby, Montana are facing a Nov. 20 deadline to enroll in the $19.5 million Libby Medical Trust Plan that is part of bankruptcy court settlement for W.R. Grace & Company. The Trust Plan is designed primarily to reimburse victims $100 monthly for their Medicare Part B premium and provide a smaller amount for prescription medical insurance coverage. The Trust Plan will be replacing the Libby Medical Program, which Grace & Company started in 2000 and included more than $2 million annually to help with healthcare expenses for asbestos victims in the area. Grace & Company in Libby were part of the largest, most-chronicled asbestos contamination episode in American history. It operated the vermiculite mine and processing mill from 1963 to 1990 and employed an estimated 200 people. Vermiculite, which was used for home insulation, packing material and potting soil conditioner, can contain asbestos fibers. The operation, which once produced 200,000 tons of vermiculite annually, was closed amidst a growing stream of asbestos-related lawsuits against the company, which first filed for bankruptcy in 2001 to avoid much of the liability from the community-wide contamination and unmanageable legal payouts. The mine, which was located about 50 miles south of the Canadian border, had operated with little regard to safety issues for the workers or those who lived nearby. Asbestos, a naturally-occurring mineral, had been proven to cause a number of respiratory illnesses, including mesothelioma cancer, lung cancer and asbestosis. The Spokesman-Review Newspaper in Montana has estimated that more than 400 people have died from asbestos contamination and another 1,700 still are suffering with some type of asbestos-related illness near Libby. The Center for Asbestos Related Disease (CARD) Clinic in Libby, established a decade ago, has a caseload of 2,800 patients, according to the The Daily Inter Lake newspaper in Montana. With so many victims expected to participate, the Trust Plan likely would run out of money in three to four years. Many claimants also will be eligible to receive money from the Asbestos Personal Injury Trust, which also is part of the bankruptcy reorganization plan. Earlier this year, more than 1,000 victims were part of a $43 million settlement that was paid by the state of Montana, which was accused of failing to warn workers or those nearby of the danger the asbestos posed. Applications for the Trust Plan, which must be filed by Nov. 20, can be obtained from the CARD Clinic in Libby or by contacting Brian Bailey (brian@baileyinsurance.com), who has an independent health insurance company nearby. 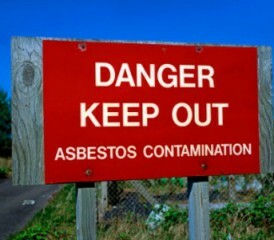 To participate, a person must submit proof of exposure in Libby and asbestos-related disease, unless he or she already is part of Libby Medical Program. According to TheWesternNews.com, there still is no definite formula for the exact dispensation of the Trust Plan money. Lawyers for the victims have been working with Grace & Company for decades, but an Asbestos Personal Injury Committee was organized as part of the bankruptcy filing in hopes of streamlining the process. Under the latest settlement plan, according to Bankruptcy Court documents obtained by Daily Inter Lake, claimants must agree to withdraw their objections to the reorganization plan and essentially end the litigation with Grace & Company.